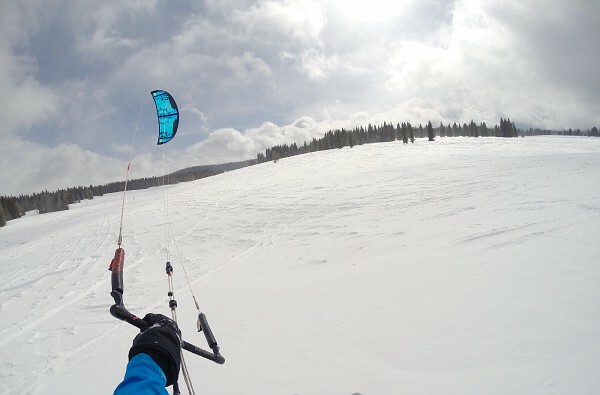 Got out to Colorado last week and we met up with FrontRangeJeff for a great day at Rabbit Ears! 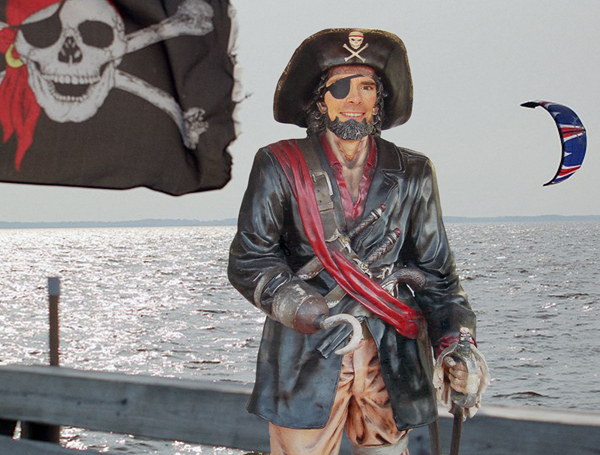 Jeff got out early on his 6M, then it dropped to very solid 12M conditions and built to 9M conditions. It was beautiful snow up there and that is a large open field of terrain to explore. Jeff has a nice little patch of trees picked out that is well away from road, powerlines and the main snowmobile routes and it works out perfectly for setup. The ever important, post session beers! Great times and thanks, Jeff, for the hospitality! 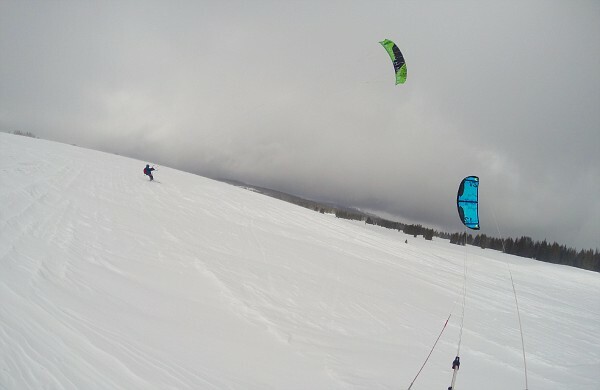 We didn't have much wind the rest of the trip...but we had some great snow in the resorts. 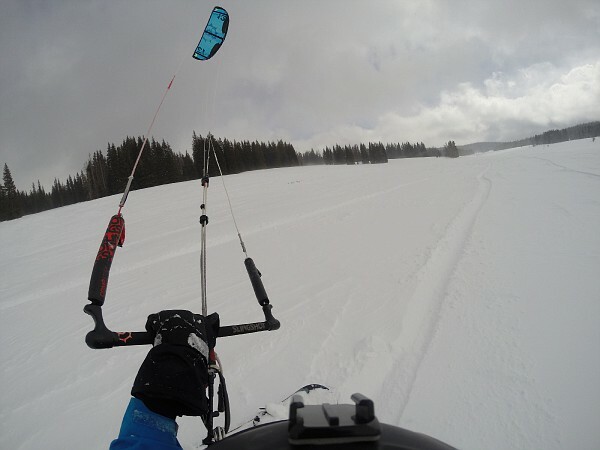 It's just too easy to not throw a kite and harness in your ski bag when you are headed out west. Style: unfolded lawn chair maybe? I was so glad you guys were able to cruise out this way and pinged me! Kited my fill that day for sure - slow to start but once it got rocking it was an absolute blast. 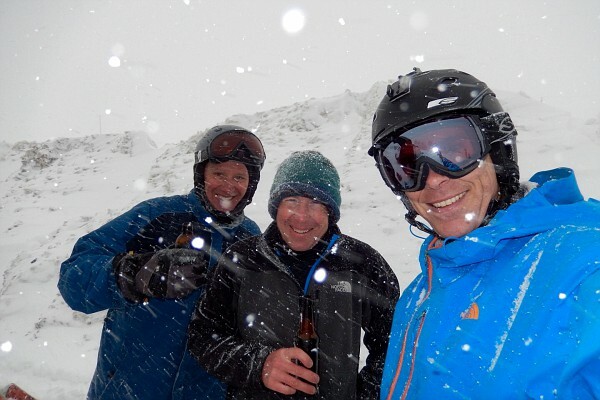 Sort of a tough break only getting one day of wind but man did you guys hit a good time to be on the slopes!!! 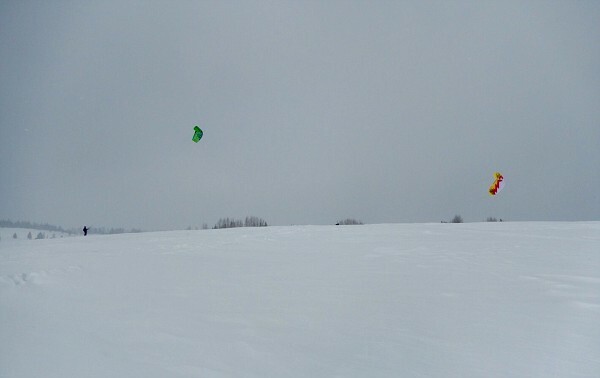 I had a great time kiting and hanging with you guys! The pleasure was all ours, Jeff! Who knows, maybe I can squeak out a weekend trip again before all the snow disappears. Stranger things have happened. I mean, heck, M.K. came out twice in one month! 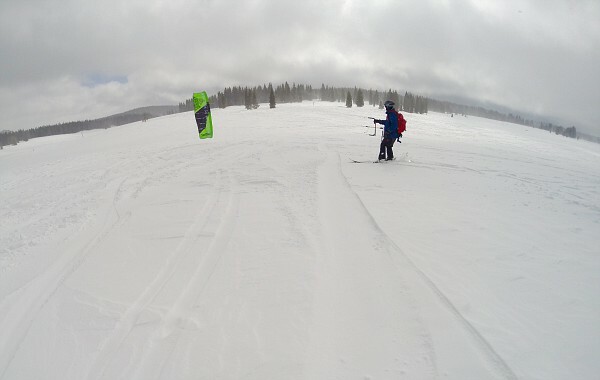 Enjoy the blower conditions once this storm passes and you have blue windy skies and untracked fields of powder!